Taking place each year on 22 March, World Water Day is a unique opportunity for the international community to focus on the vital importance of water and to commit to taking collective action to ensure its conservation for future generations. 2018 marks an especially important World Water Day. Part of this is due to the mounting threat of water scarcity in the context of global population increases and climate change. 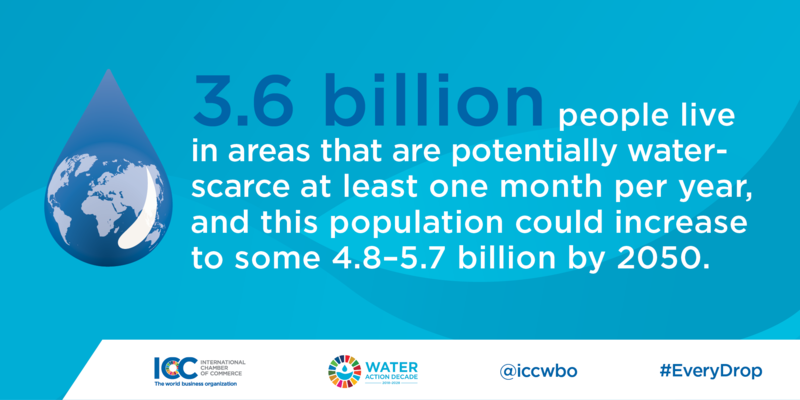 According to the UN’s 2018 World Water Development Report, “an estimated 3.6 billion people live in areas that are potentially water-scarce at least one month per year, and this population could increase to some 4.8–5.7 billion by 2050.” The Organisation for Economic Cooperation and Development projects that water demand will increase 55% by 2050. This year also marks the start of the “International Decade for Action: Water for Sustainable Development”—a UN-led campaign to advance cooperation and partnerships for the sustainable management of water resources stretching from 2018-2028. For the private sector, engaging in sustainable water stewardship is both vital to continuing business operations and integral to responsible business conduct. Every business depends on and impacts water resources. ICC, as the world business organization and the only private sector Observer to the UN General Assembly, works to promote sustainable economic growth and responsible business conduct, including maximising resource efficiency. 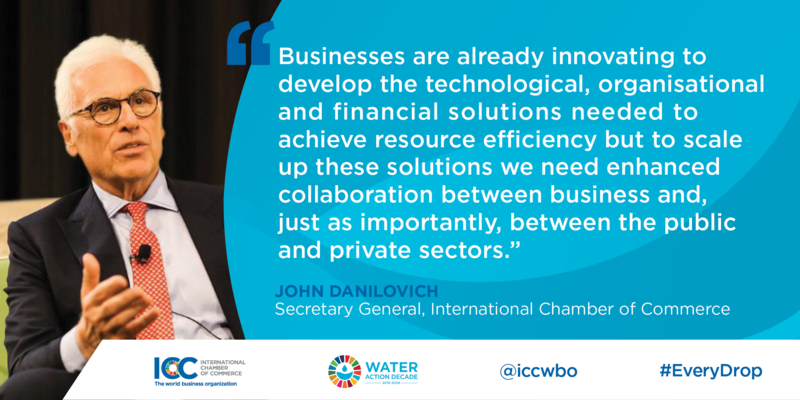 To mark World Water Day, ICC’s Commission on Environment and Energy has released a statement on Water and business, explaining why water stewardship matters to business, what companies are already doing and how public and private actors can collaborate further. Read more about ICC’s energy and environment work on our website.